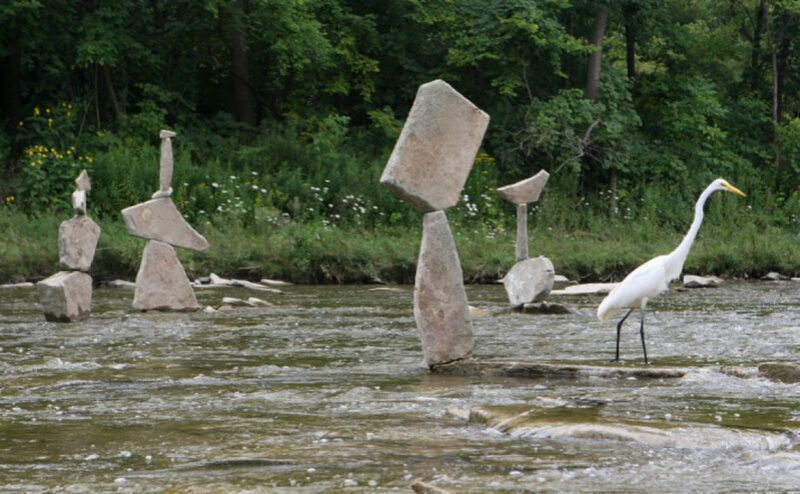 Two news articles from the Toronto Star describe the sudden appearance of balanced rocks in the Humber River. It's a cute application of centers and binaries. Who made the mystery statues in the Humber River? Thanks to Skip Hills for submitting these articles!